There's a lot more to the world of social media than Facebook. For example, there is also Facebook-owned Instagram! The online/mobile photo and video sharing service is wildly popular among a certain subset of the digital population (we're looking at you, millennials), but brands have historically had a very difficult time breaking through, capitalizing on the activity that occurs on the network. That's starting to change with the introduction of technology solutions and digital software to help anyone keep tabs on what's happening on the network. 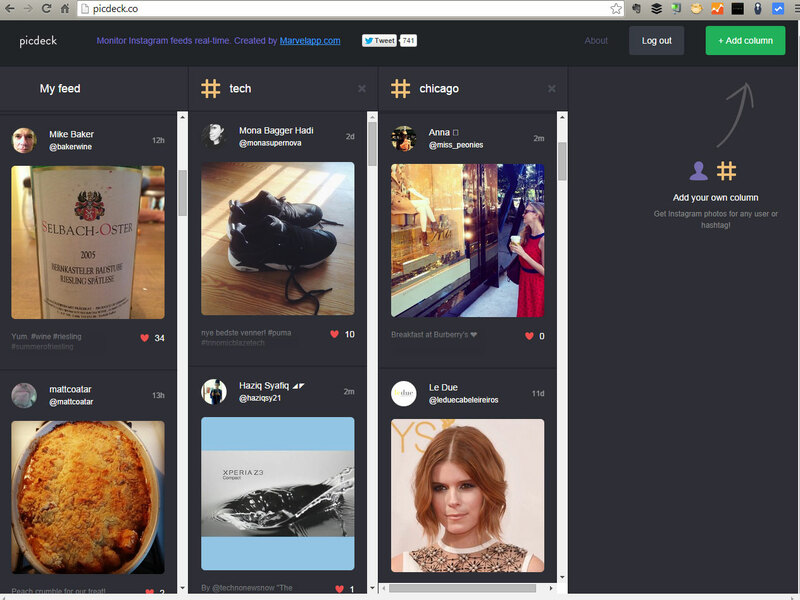 Picdeck, for example, is a Tweetdeck-style viewer for Instagram. The Web-based tool enables users to add columns for hashtags (or users) that can be tracked. While Picdeck is relatively basic, and is likely more useful for gaining some inspiration around certain ideas, topics, and memes, it could prove to be an interesting solution to keep track of something specific - like a particular campaign that you're running.